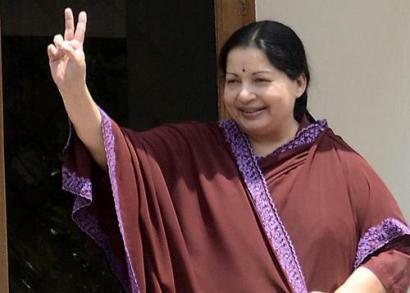 Home » States » Tamil Nadu’s Grand Growth Vision; Rhetoric Or Reality? Tamil Nadu’s Grand Growth Vision; Rhetoric Or Reality? I read this article and found it very interesting, thought it might be something for you. The article is called Tamil Nadu’s Grand Growth Vision; Rhetoric Or Reality? and is located at https://archive.indiaspend.com/states/tamil-nadus-grand-growth-vision-rhetoric-or-reality-11753. Do stretch goals and 10-year growth targets work when set by the states of India? Some would argue that the setting of a vision and a target for spending itself is a start. The cynics would say bigger promises don’t mean corresponding delivery. IndiaSpend’s Dhritiman Gupta looked at the ambitious Vision Tamil Nadu 2023 document presented on 22th March, 2012, a few days before the State Budget was presented. But in order to assess how this Vision document could hold up, he began with the Tamil Nadu 2012 State Budget and did some careful extrapolations. We leave it to you to be the judge. As a background, Tamil Nadu is one of the few states in the country with a very high number of giveaways. They range from free rice, school uniforms, footwear, laptops and free healthcare. The approximate total for just 2012-13 for this is: Rs 9,000 crore. There is considerable (and perhaps laudable) spend on education related areas such as textbooks, kits and uniforms. But the amounts are large and would call for careful monitoring to ensure proper delivery. Agriculture to take away Rs 3,804 in 2012-13. Of this, Rs 200 crore is for incentives to farmers over and above Minimum Support Prices (MSP) than what the Centre provides. This incentive is Rs 50 more per quintal for common variety of produce, and Rs 70 more per quintal fine variety produce. Since June, 2011 free rice is being provided under the Public Distribution System (PDS) to 1.85 crore rice card holders. The government is also providing tur dhal, urad dhal and palm oil and fortified atta at subsidised rates. Amount set aside for 2012-13: Rs 4,900 crore. Waivers to folks who availed of loans from Co-operative Housing Societies. Cost to Government: Rs 390 crore in interest loss compensation to the societies and providing relief to 1.14 lakh beneficiaries. In health, the Chief Minister’s comprehensive health insurance scheme was launched in January 2012. Since then 17,723 beneficiaries have undergone treatments costing Rs 49.42 crores. Amount set aside for 2012-13: Rs 750 crore. Providing cash incentives to government and government aided school students in the 10th, 11th and 12th to prevent them from dropping out. The incentives are to the tune of Rs 1,500 for 10th and 11th students and Rs 2,000 for 12th students. These amounts will be deposited in a public sector finance -company and paid to the students with interest on completion of their studies. Amount set aside: Rs 366 crores in 2012-13, which will benefit 21.36 lakh students. From 2012-13 onwards, the government will distribute four sets of school uniform to children every year. A sum of Rs 329 crore has been set aside for distribution of uniforms to 48.63 lakh children. Free footwear will also be supplies to school children from Standard 1 to Standard 9. This will cost the government an additional Rs 100 crore in 2012-13. Educational kits like colour pencils and geometry boxes will also be provided without cost during 2012-13 costing the government Rs 136 crore. Note Books will be also provided without cost to students from standards 1 to 10, costing the government Rs 150 crore. In higher education, the government had started a scheme in 2011-12, of providing free laptops to all college students and 12th students in government institutions. This scheme will cost the government Rs 1,500 crore in 2012-13. Social Security pensions for elderly and destitute were increased from Rs. 500 to Rs 1,000 per month. An amount of Rs 3,820 has been set aside under this head in 2012-13. The allocation for pension of 6.53 lakh ex- government employees was also increased to Rs 13,023 crore in 2012-13. Now let’s take a closer look at the state’s finances. Tamil Nadu spent more than it earned in 2009-10 and 2010-11. From 2004-09, Tamil Nadu managed its revenues well registering surpluses. The next two years things went wrong, with deficits hitting Rs 3,531 crore and Rs 3,128 crore respectively. Now the state seems to be getting back on track, registering surpluses of Rs 536 crore in 2011-12. The surpluses are budgeted to go up to Rs 2,376 crore in 2012-13. The Debt-GSDP ratio also had been kept under the 20% mark till 2010-11. In 2011-12 however, it was 20.43%. However, compared to Kerala and West Bengal, which have Debt-GSDP ratios of 27.33% and 37.9% respectively, Tamil Nadu is better off. In fact, Tamil Nadu is budgeted to bring down the ratio below 20% in 2012-13, 19.6% to be precise. However, if Tamil Nadu were to provide Rs 5,00,000 crore for infrastructural development over the next 11 years, as it has stated in Vision 2023 document, this ratio will deteriorate if the state’s income growth is not up to the mark or tax revenue collections do not rise sharply. In terms of revenue collections Tamil Nadu is doing quite well with the SOTR/GSDP ratio crossing 10% in 2011-12, from 7.88% in 2009-10. However, if the ambitious vision has to be realised then it has to go up further, maybe cross the 15% mark. The most worrying aspect of Tamil Nadu finances has been the fiscal deficit. It crossed the 2% mark in 2008-09 and has been rising ever since. It was 3.40 % in 2010-11, 0.40% higher than the bound of 3% set by Fiscal Responsibility and Budget Management Act. This figure also makes it higher than most states in India. Tamil Nadu brought it down to 2.90% in 2011-12. To what extent can one predict Tamil Nadu’s expenditure and income trends in future? Quite precisely, it would appear, going by the state’s Vision Tamil Nadu 2023, presented on 17th March, 2012, a few days before the State Budget was presented. 1) Economic Prosperity– Per-capita income will be increased 6 fold from Rs 73, 728 (US $ 1628) in 2010-11 to Rs 4, 50,000 (US $ 10,000) in 2023 in line with per-capita income of upper middle income (UMI) countries. This would require an average growth rate of 11% per-annum over the period. Incidentally the only states which have consistently grown at double-digit rates over the last ten years are Gujarat and Maharashtra. 2) Inclusive Growth– By 2023 “Nobody in Tamil Nadu will be left behind” or make Tamil Nadu poverty free by 2023. Approximately 12.1 million people in Tamil Nadu or 17.1% of the population were living in poverty in 2009-10. 3) Health for All- Vision 2023 envisages Tamil Nadu to become not only the numero uno state in India in terms of social indicators but also reach the levels attained by developed countries in human development by ensuring universal access to health facilities. Within a ranking of 8th on the Human Development Index (HDI) at 0.570 in 2007-08. Tamil Nadu was behind states like Kerala, Delhi, Maharashtra, Goa and Punjab. 4) World class infrastructure- The vision hopes to provide world class infrastructure by 2023. Infrastructural development expenditure would need to go up from 4-5% of GSDP to 10% of GSDP from 2015 onwards and 11.5% of GSDP from 2019 onwards. In absolute amounts, an investment of Rs 15 lakh crore would be required over the 11 year period. Of this an amount of Rs 12.5 lakh crore will go into energy, transport, industrial and commercial activities and urban development. The remaining will go into agriculture, human development and other social infrastructure projects. 5) Knowledge Hub. This would require ushering in a Skill Development revolution aimed at skilling 20 million people across the state in the next 11 years. This exercise alone would require an investment of Rs 11,000 crores. Let’s compare the infrastructural spends or capital expenditure the vision envisages over the next 11 years to equivalent spends over the last decade. The capital outlay or physical investment in Tamil Nadu over 2001-12 is Rs 76,345 crore. The outlay over the next 11 years is targeted at Rs 15,00,000 crore, or an increase of 1,864% over the past decade. The maximum increase in percentage terms is in industries, an increase of 37,635% for the next 11 years when compared to the past 11 years. Among these mind-boggling numbers (and we acknowledge the fact that percentages don’t make sense beyond a point) only agriculture seems to have suffered a bit. The hike in this sector is only 195% as compared to 2001-12. Human Development is a thrust area too, with health and education expected to receive 504% and 508% hikes in investment. Energy and transportation will receive substantial hikes to the tune of 10,704% and 1,646% respectively. These are substantial numbers. The question which obviously arises at this point is where the money will come from? The Vision 2023, document does not provide the answer except tentatively saying that two-third of the finances will have to come from the private sector and the mode employed for infrastructure development will be Public- Private Partnerships (PPP). Now to return to where we began. The question now is whether Tamil Nadu’s finances can support even a third of the Rs. 15, 00,000 crore of the planned investments or Rs. 5, 00,000 crore assuming the rest comes from the private sector.